Cartier unveiled 300 pieces of the Royal High Jewelry collection at a private exhibition earlier this month, along with a private ladies-only gala dinner under the patronage of H.H. Sheikha Manal Bint Mohammed Bin Rashid Al Maktoum on March 8. Known for the majestic presentation of its pieces and valuing the inspiration of its designs, the brand celebrated the collection in a lavish Château de Versailles themed venue, where guests were the first to discover the exhibited pieces on models prancing around in colourful Victorian inspired costumes. 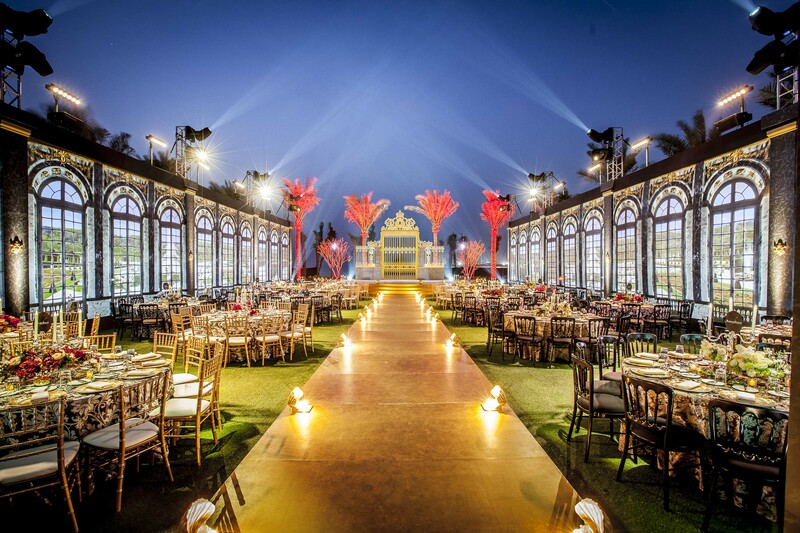 An entertaining show featuring dancers and musicians flown in from Paris accompanied the regal dinner in an ostentatious setting re-creating the rooms of and scenery around the famous Château de Versailles in France. Cartier also hosted a majestic cocktail reception the following evening to celebrate the unique, exceptional gemstones, and presented the Royal creations -elegant rings, stunning tiaras, dangling earrings, beautiful feminine necklaces and, our personal favourite, a striking burgundy and white diamond, collar-shaped ras du cou- to its guests in a Parisian setting, building beautiful memories with valuable connoisseurs. SIHH 2015: Watches Are The New Jewellery! Previous Post Art Basel Takes Over Hong Kong.